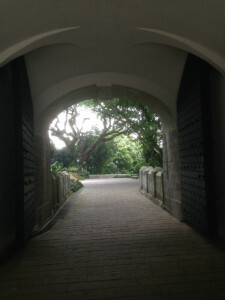 the doorman came forward as i got down from the taxi and stepped on the gravel covered posh driveway. he looked splendid and familiar. seemed he had always been there. he was there when somerset maugham came visiting. he came forward to open the door for the japanese who changed the name of his hotel to shonan ryokan. 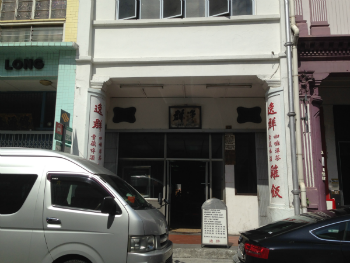 he was most certainly there when the armenian siblings, martin and tigran sarkies, came from isfahan in persia to singapore to negotiate the lease with the owners of this building: the arab businessman and philanthropist syed mohammed alsagoff and the teochew entrepreneur seah liang seah. 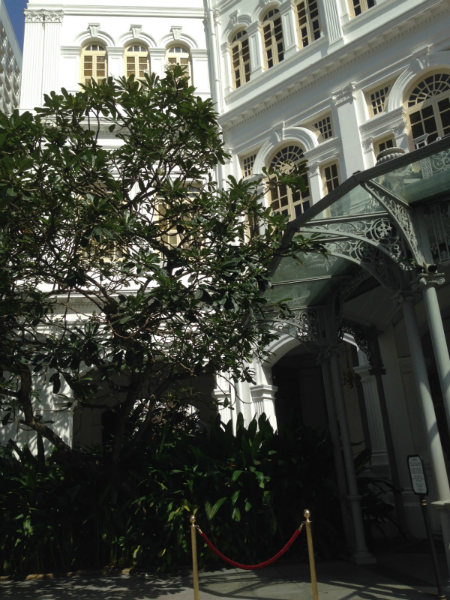 the sea doesn’t come up to the raffles hotel anymore, but time and the whole world still meets here. 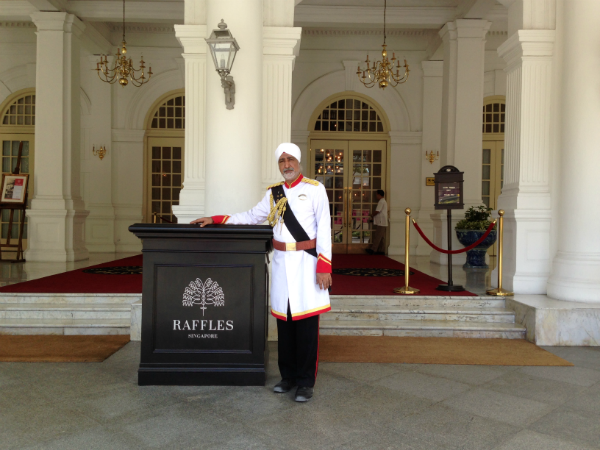 And of course, the sikh doorman in his turban and splendid livery stands dignified and welcoming, after all what’s the raffles minus him. our walk from raffles hotel to masjid sultan had come about mainly because we had to reach food at the end of it; essential requirement if my daughter is with us. i knew it was a beautiful route but i had no idea this kilometre or so by half a kilometre was this rich in history and that too so colourful. my memories came rushing up. 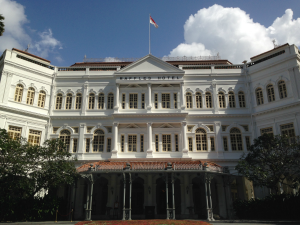 seah leang seah was involved with the raffles hotel? for nearly fifteen years i’d worked at a shophouse just three streets down named after him, but not known this. i felt oddly possessive of that name and the gambier “king” seah eu chin’s son’s very existence. my street, my hang out for so long. as we walked along beach road, old and new played its game with us. on our left, purvis street. i dashed in to see if yet con restaurant was still around. 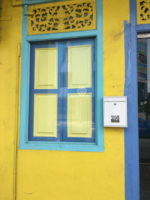 the ads written for this hainanese eatery by jim aitchison of ball partnership had made me giggle, made me want to write… back in the nineties. yeah, it’s here, intact and as run down as ever. on our right, past the too tall, just up south beach towers, the older shaw towers where you can see hindi films at jade and prince and where once the alhambra theatre stood, showing erol flynn films among others. 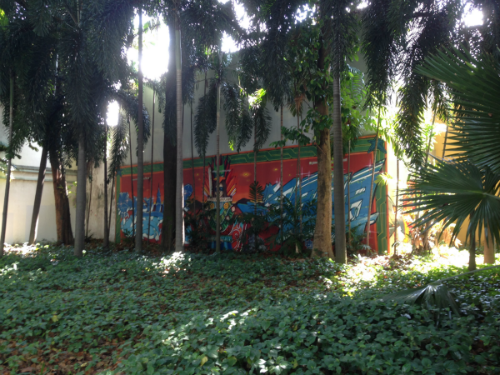 in the 1930s it became the first air conditioned theatre in singapore. 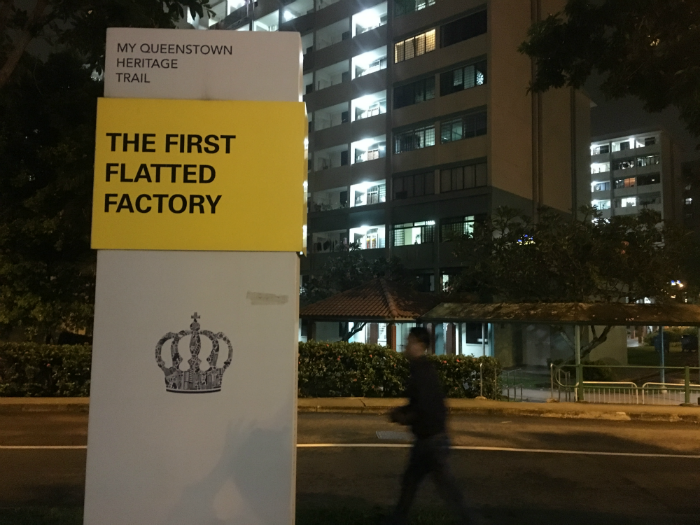 turn your head nostalgically at liang seah and there’s bugis junction. i know you well and yet not. for did i even get a hint as i shopped at the old hylam street pavilion within you for years, that once it was a street lined with brothels filled with young japanese girls often not even twenty? propelled the growth of japanese business in the city back in the late 1900s, said the article i was reading for a bit of research. we reach the sharp edged towers of the gateway designed by the legendary i.m. pei. 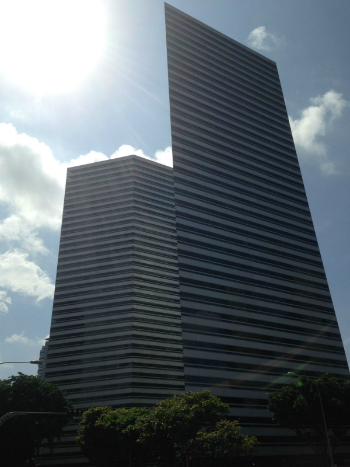 my first boss in singapore had told me it’s not really liked by the chinese, because of those very edges, too sharp, bad feng shui. the empty plot in front of it seems to have at last enticed a buyer. another thunking buliding coming up. suffocating. but fear not, the playful stretch of ofir road is here. 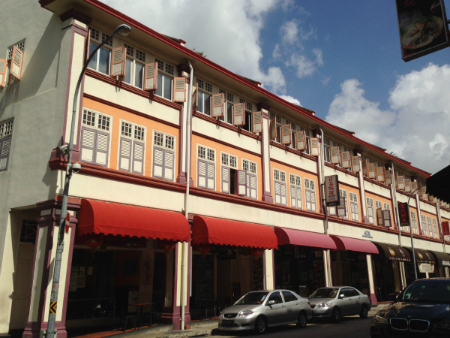 not too spanking and gleaming, beginning of the kampong glam area; the plot of land linked to the 1819 deal for singapore between sir stamford raffles, the sultan of johor and temenggong abdul rehman. 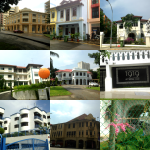 the british got their trading post and the sultan and the malay and arab communities got assigned this upscale neighbourhood as their designated place to reside, part of the raffles plan of 1822 which divided the settlement according to different ethnic groups. divide… and ye shall rule. 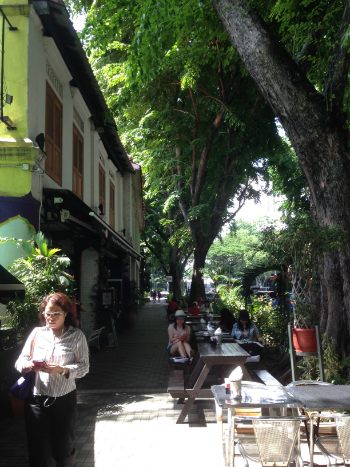 gorgeous bold art on the walls, tall trees with swaying branches, sunlight dappled shophouses with restaurants and bars, people sitting at tables along the pavement, painting… hot pita baking at the new bakery. ofir road has a mind and atmosphere of its own. something begins to feel ineffably free and happy. especially after the pita-dipped-in-hummus break. 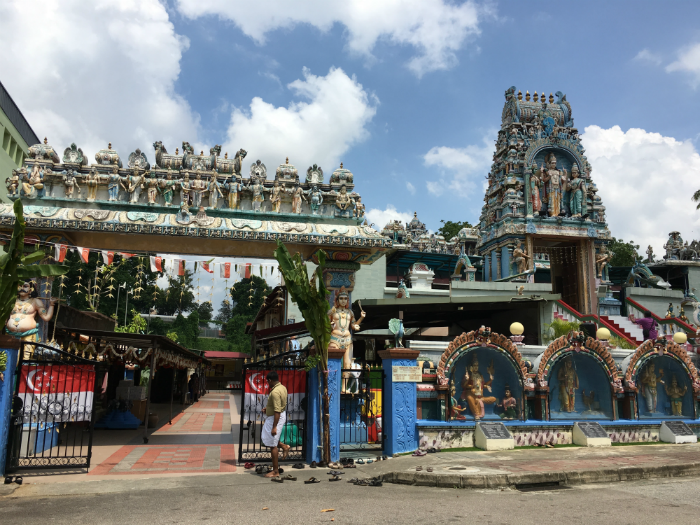 we go toward arab street where kilometres of lace and silk and linen and cotton from japan, india, italy, france and who knows where else get sold. all my friends have at least one chantilly lace saree. orders come from india regularly still. three varieties available, writer can provide more details on enquiry. 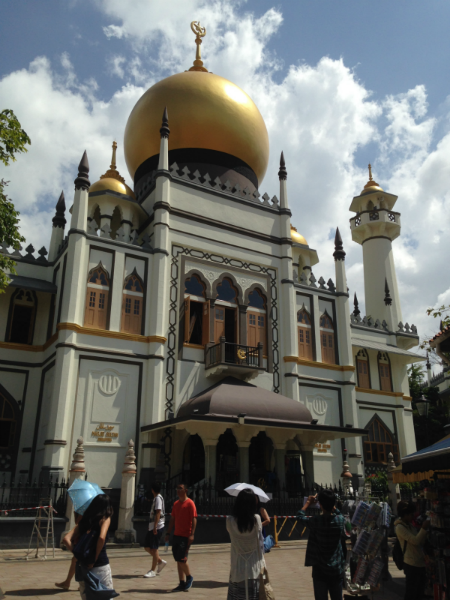 we are at bussorah street and there’s the golden dome of masjid sultan. the original mosque was built between 1824 and 1826, when the sultan decided he needed a mosque here close to his palace and got the east india company to pay for it. when i read about the way the rich and famous and elite and super elite of india and malaya and this part of the world conducted themselves in the pre and post colonial era, i really can’t just blame the guys who came across the seas and took over practically a continent for their greed. there was greed everywhere. on every side. in every palace, potentate and treaty. the sultan and the temenggong received “small fortunes”, an annual “stipend” and “the use of” the area for their residence (i quote wikipedia), as part of the treaty that ceded power to the british. the management of the mosque was handed over to a board of trustees later. in 1924, a new masjid was commissioned to serve the community which had grown considerably. architect denis santry chose the saracenic style with minarets and more. it took four years to build the present masjid sultan, which is beautiful and has that aura of arabia in its lines and colours, especially against a bright blue sky. 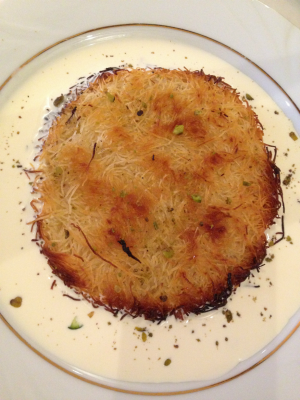 on bussorah street we found the turkish restaurant my daughter remembered from a previous visit. the maitre d’ was from turkey without a doubt, the waiters were from the east however: philippines. alas there was no turkish delight, the kanefe stepped in to make us forget our woes. it was crisp and sweet and mysterious and magnificent. but before we got there, perhaps the most oh, oh, oh! moment (remember lady macbeth? “all the perfumes of arabia will not sweeten this little hand. oh, oh, oh!”). well, all the perfumes of arabia, each and every one i bet, sat, sorry elegantly reclined, on the shelves of a tiny shop on a bend in the street. my daughter rushed into the shop. she wanted an alladin type of glass bottle displayed in the window. the lady at the shop was pleasant and friendly. 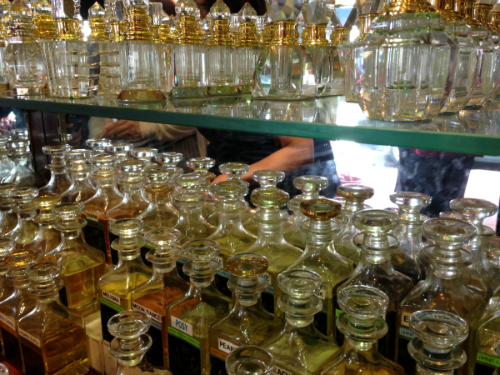 i gave in to a desire… could we try some attar? sure we could. could we have a mild one? of course. a roll on touched my wrist. i took a sniff. 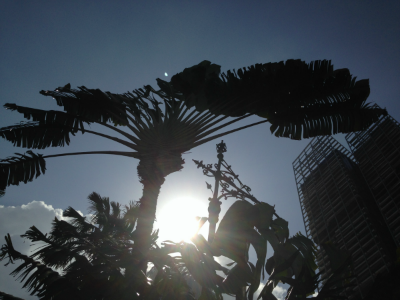 it was nice… very mild. daughter decided we had to buy. so we both did. 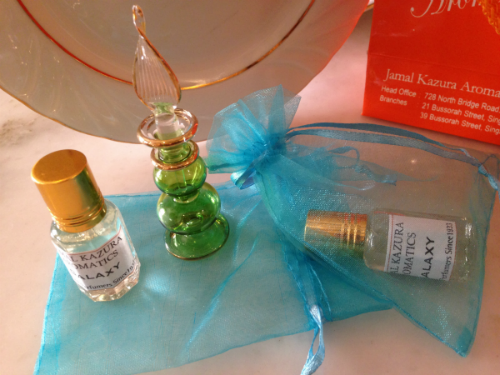 my first attar, galaxy. the lady accentuated the words “alcohol free” in her pitch. i asked her who were her biggest customers. the japanese, she replied. 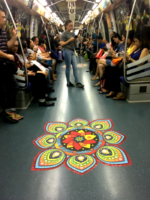 i knew that accent, it was not from malaysia… are you from india, i asked. yes, said her companion, a man with an intent gaze. they were from andhra pradesh. again a surge of memory and history. the sea is never too far away in singapore, it’s often right here within us. 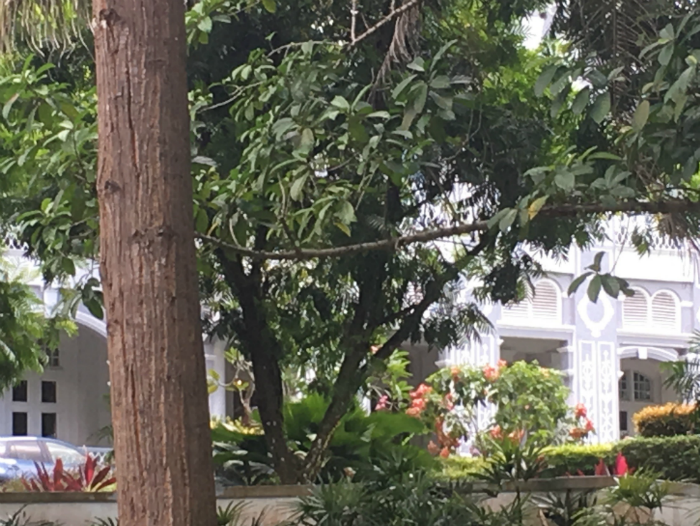 i’ve always loved the frangipani trees in front of the raffles, old and sure, scattering flowers on the red flagstone pavements and the gravelly driveway.